I do admit that franchisees often don’t try hard enough to change this perception. If a franchisee wants to truly understand their local, target market and grow their business successfully, I believe that they need to get involved with the local community. By understanding the local area and getting involved in community activities, the franchisee can enjoy the best of both worlds, being part of an established brand while still being seen as a local business that cares about and has a positive impact in the local area. 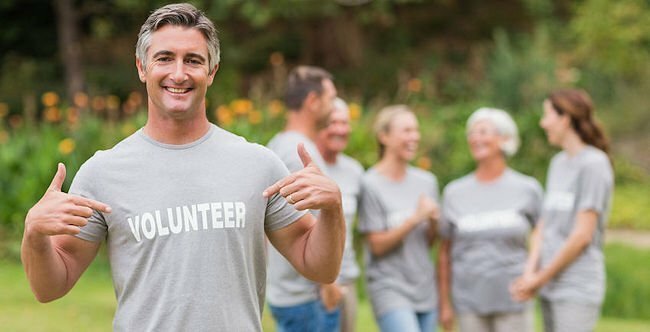 Increasing community involvement can be as simple as getting involved with local events, and charities can always do with additional voluntary help. Some ideas include running marathons and taking part in fund-raising walks; you could also help out at coffee mornings in local residential homes or volunteer for homeless charities. You can also look for other ways to give back to your community that are more relevant to your business, such as partnering with other firms and sponsoring local teams and organisations. You could even run your own event. It doesn’t have to be anything too complicated or time-consuming to manage. Of course, franchisees could argue that they don’t have the time or the staff to commit to local fundraising activities, especially if they operate a smaller business. However, they need to keep in mind that any relationships they build with their local communities can be mutually beneficial as, if they are seen to be making an effort to help their community, the community will, in turn, support their efforts to grow their businesses. It can result in brand exposure and help you to find new clients or partners. Yes, it does require the investment of time and effort, but the results will most certainly pay off. Most importantly, making a difference in your local community should never be seen as an ‘add-on’ or afterthought to your business model, but rather as a permanent and essential part of it.